La Antigua in the Guatemala Highlands is a foodie paradise, there are more than 150 eating establishments in this historical city of approx. 35,000 people. Most restaurants are within walking distance; many small, typical Guatemalan eateries are located inside the Antigua market. 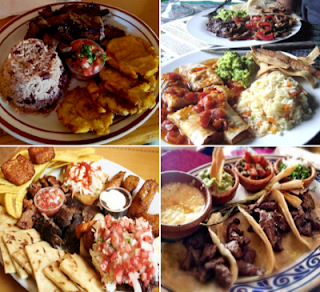 Many people are surprised to discover the variety of cuisines represented in Antigua, including Mediterranean, Italian, Asian, American, French, Latin, Indian and traditional Guatemalan cuisines. Fresh baked breads & other items daily, impressive menu, cheap eats, great food and service along with a pleasant atmosphere - come enjoy the live entertainment in the evenings. The fresh baked goods can be found at the store-front, where you'll find amazing tasty treats for sale - very popular with locals & visitors alike. Welten was founded in 1983, earning since then an excellent reputation; not only for our dishes, but also for the personal attention with which they are served. Each area has been carefully decorated in its own distinctive style to sit the mood and taste of each customer. Those who appreciate gourmet cuisine will find that Welten offers the best of both, international and Guatemalan cooking all made to order using the freshest ingredients. Open for lunch and dinner. Perfect for couples, small groups and special occasions. Cozy ambiance, great music and incredible food. Epicure’s presence in Antigua started as a processing plant for cold meat products; it then became a gourmet shop that sold the farm’s products, and eventually, after a relocation, it became what Epicure is today: a restaurant, a gourmet shop, and a processing plant all in one place. Prepares each order with exquisite delicious tacos with fresh ingredients including pork, chicken and sausage - consistent quality and service makes this a popular choice. At Tuscan Restaurant strives prepare traditional, authentic Italian cuisine with fresh, local ingredients and traditional recipes. "Honeymoon" has served savory and sweet crepes since 2006, plus snacks, salads, ice cream, smoothies and more pastis - bon appetit! Enjoyed the flavors and delicious cuisine from recipes inspired by visits to foreign lands, take a gastronomical tour through the kitchen to select the dish of your choice and then have it prepared to your taste. Latin American Seafood and Steakhouse Restaurant, a very popular restaurant with cuisine ranging from barbecue to Guatemalan and South American. A little corner of France just steps from the center of La Antigua Guatemala, specializing in the art of good eating, enjoy a delicious meals with family and friends. Fine dining without the attitude! Offering contemporary fine dining focusing on Guatemalan ingredients, a bar and wine program with live entertainment!